To add members to a board, select "Invite" from the board menu. Search for a user by name or enter an email address to invite them to the board. Click their name to add them to the board. Depending on the board settings, you may need to be an admin to invite someone to the board. 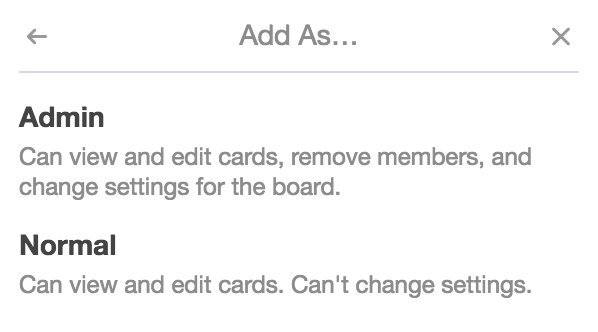 You can add members to boards even if they are not already using Trello. Just enter the person's name and email address and click "Send Invitation." The user's permission level will be considered "Virtual" until they join Trello, but you can still add the user to cards. 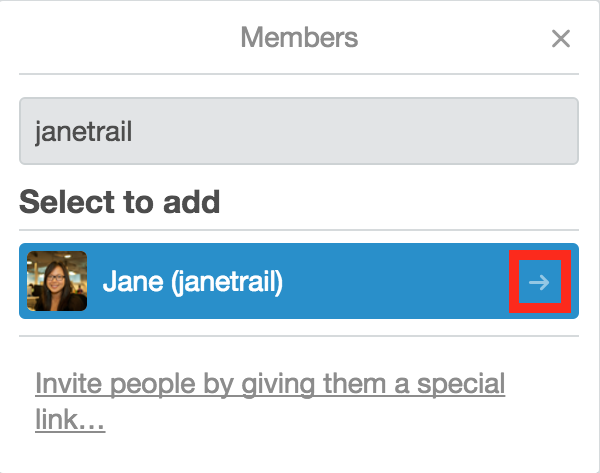 Add other Trello members or invite new users to your board and collaborate in style! You can make someone an admin for a board at the same time that you add them as a member. 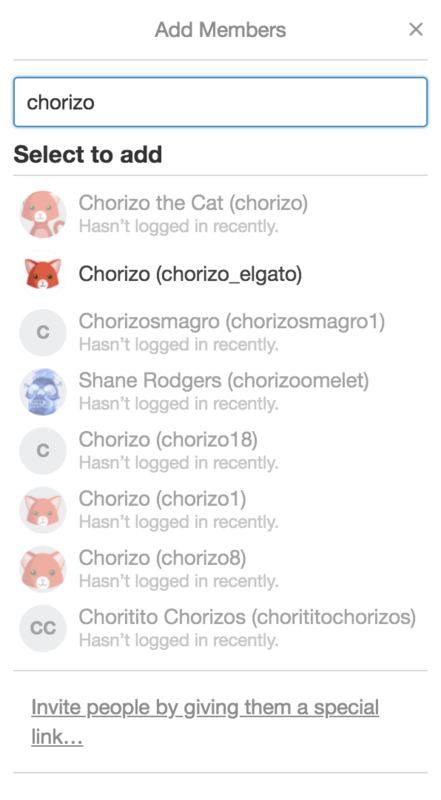 When you hover over a user's name on the "Invite" tab, you'll see an arrow on the right. Clicking on the arrow will bring up the up their permissions settings. If the board is part of a Business Class team, you'll also have the option to invite a Guest as an Observer. Select "Admin" from this menu and they will be added to the board as an admin. If your board is a part of a team and you would like any of your team's members to be able to join the board and collaborate, you can select "Allow Team Members to Join" from "More"->" Settings" in the board menu. When you select this option a checkmark will appear next to "Allow Team Members to Join" and your team's members can add themselves to the board. You can let team members join your team boards. You can further control board permissions in the "Settings" option in the board menu (click "More" to expand the menu options). 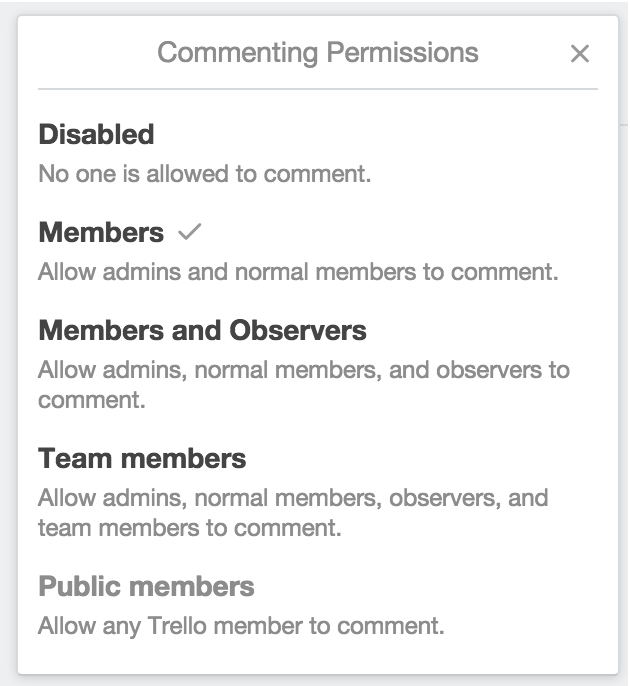 Under "Commenting Permissions," you can select who is allowed to comment on the board: no one, just board members, board members and observers, all team members (whether or not they're board members), or any Trello user. Select who is allowed to comment on your board. 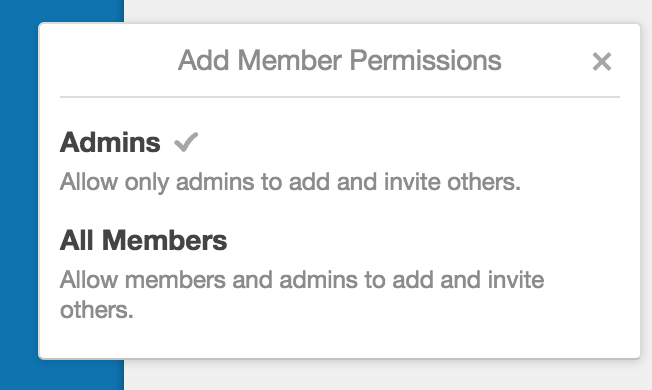 Using the "Invitations Permissions" menu, you can select who's allowed to invite new members to your board. If "Admins" is selected, only board administrators can invite new members. If "All Members" is selected, any board member can invite a new member to your board. Choose who can invite new members to your board.